As she talked, I had a vision of a big pot of soup and a bowl of broth. When one person handles everything on his or her own, it is like a bowl of broth. There’s nothing wrong with it, it can be quite good, but in the end the flavor can be a bit one-dimensional. However, when many are encouraged to take part and contribute, it becomes a richer concoction, much like my Granny’s pot of vegetable soup with all those homegrown goodies from her garden. Mouth-watering. Delicious. Satisfying. Filling. Complete. In this life, there is a place for bowls of broth. Absolutely. But when every day, day in and day out, one person is handling everything, broth just doesn’t provide the sustenance and enthusiasm that a pot of soup can. 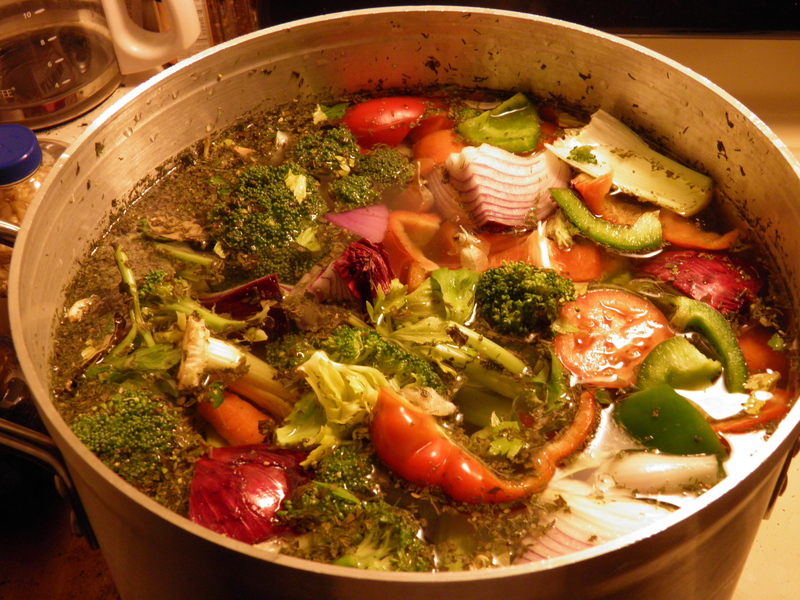 Broth can be the basis for a delicious pot of soup, but it is not filling on its own. It takes all of us, y’all. When each of us puts in what we have to offer, we can change things. We can make this world, this country, our town, our community a better place–IF we are willing to be a part. Tonight I’m thankful for walking alongside a fabulous soup-maker. She could have spent all these years making broth, doing it all on her own, and it would have been incredibly good. But because she said “yes” or “let’s talk” or “we can give that a try,” so many more good things came to be. Good things that came from many hands making light work, joyful work, as my Mama used to remind me. “We” is a beautiful word. Thankful to be a part of that with her and so many wonderful people. May you all have the chance to make soup with the good folks around you.